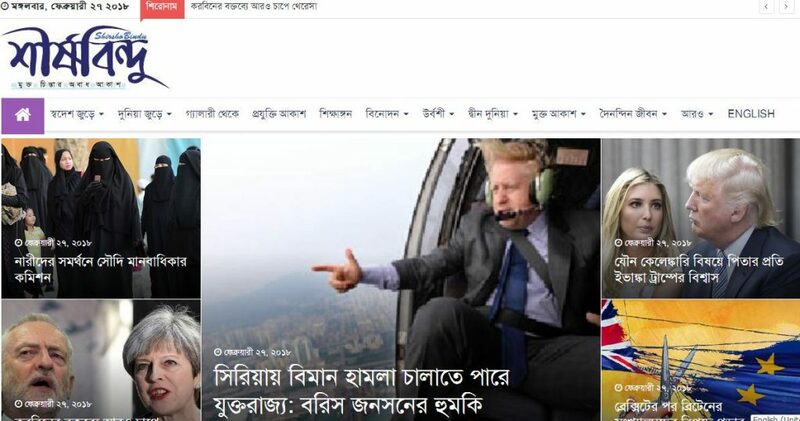 The Shirshobindu (www.shirshobindu.com) is a daily online newspaper which publish Bilingual and English version. The Shirshobindu offers authoritative insight and opinion on local, national and international news, politics, business, finance, science and technology in English and Bengali both editions. We publish all articles from The Shirshobindu online edition and maintain a searchable online archive that dates back August 2012.